I’m always looking for people with interesting experiences and unique insights to come on my podcast, whether they are public figures or otherwise – and I frequently encourage people to get in touch with me via this form should they feel they have something to say. An interesting individual going under the pseudonym Eiynah did just that in May. She is a Pakistani-Canadian ex-Muslim blogger and author. I had no doubts that a discussion on her work and background would make for fantastic listening, but at the time she had concerns about people being able to identify her by her voice. The unique concerns surrounding the religion of peace strike again. Given the podcast is a spoken word medium, I was regrettably unable to remedy this problem, so suggested she get back in touch should said concerns dissipate. And get back in touch she did, albeit with some unexpected additional suggestions. She now feels comfortable speaking on the podcast, but wishes to do so alongside a notorious & controversial public figure. It seems she has been in communication with Tommy Robinson, founder and ex-leader of The English Defence League. Eiynah feels that hearing her and Tommy exchange questions would make for interesting listening. I agree. I can already hear the alarm bells ringing in your head – so allow me to alleviate some concerns. For you non-Brits I’ll bring you up to speed. 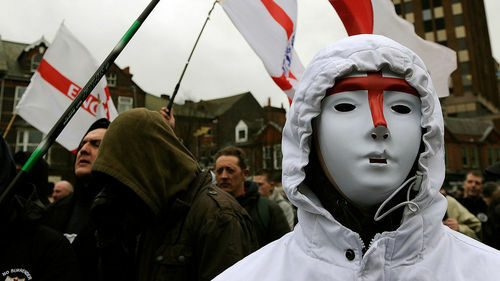 The EDL was founded as an anti-Islamic street ‘protest’ organisation in the UK around 2009. I’ve often thought groups like this only arise as a symptom of the Government’s unwillingness to take the problem of Islamism seriously. When those we elect or count on to be sensible decide to ignore the problem, we unwittingly clear the stage for the far-right. This is a tragic and ultimately dangerous phenomenon. The EDL’s numbers increased rapidly and they became well-known to the public, media, and the law – for all the wrong reasons. Whether they were always a thuggish, racist & far-right movement, devolved into such, or were simply hijacked by those elements is a topic of debate for some – but regardless – that’s certainly the picture I have of them (which is not to say all members fit that profile of course). I’ve been vocal in my condemnation of The EDL in my personal life, and on Twitter. I hope it’s clear that I harbour no sympathies towards the movement whatsoever. In the interest of balance, during his time with the organisation, Robinson proclaimed he would root out these deeply reprehensible elements. I’d suspect Robinson would also argue these elements were a minority receiving disproportionate media interest. In truth, I lack the knowledge or interest necessary to validate any of these claims. Whether you feel I’m mistaken about my characterisation of The EDL or not – the damage was done. The larger British public and I had made up their mind about The EDL and Robinson. As a consequence of being unable to eliminate these nefarious elements, Robinson left the organisation he had created, at the behest of Quilliam’s Maajid Nawaz. But what I didn’t particularly know anything about was its founder Tommy Robinson – that was until he took part in an excellent documentary with our favourite online clown, Mo Ansar. ‘Qutting The English Defence League: When Tommy Met Mo’ is essential viewing and I strongly urge you to watch it. I came to that documentary with many preconceived notions about Robinson, yet was surprised to see he didn’t appear to be this violent neo-nazi monster I’d pegged him for. Or at least he hid it remarkably well. Not only did he seem quite likeable, but he also articulated many of his concerns intelligently. This was supposed to be Mo Ansar’s big moment. He was to convince the leader of an anti-Muslim organisation that Tommy had it all wrong about Islam – right there on our television. Mo wants nothing more than to be on television. Yet, to my amusement, Robinson came across far better than Ansar did. This admittedly is a low bar to clear, but what followed was truly remarkable. The most compelling part of the documentary chronicled Tommy’s first meeting with Maajid Nawaz. Tommy seemed to appreciate in Nawaz a Muslim that does not shy away from acknowledging the destructive mindset of Islamism, and its roots in Islamic ideology. Maajid, a secular Muslim knows more than most that Islamism is alive and well, and that this fundamentalist understanding of Islam, is not only a threat to Muslims living in distant theocracies, but to democratic, liberal societies in the west too. This anti-apologist approach from a Muslim was a breath of fresh air to Tommy, who had experienced nothing but obscurantism from the insidious Ansar. We could see some of Tommy’s prejudices begin to dissolve right there and then before our eyes. Nawaz’s preference for moral clarity over tribalism is never clearer than in this clip of him challenging Ansar on Sharia from the same documentary. It was not to be the influence of Ansar, but rather the meeting with Nawaz that would prompt Tommy to eventually cut ties with the EDL and channel his concerns in a more positive way with the reputable anti-extremist organisation, Quilliam. Jail promptly followed for Tommy due to unrelated reasons and I know nothing of the man pre, or post this documentary. This presents a fantastic opportunity. Eiynah is fascinated with British politics and the phenomenon of the EDL and feels it would make for a great conversation to hear a Pakistani ex-Muslim question the founder of a so-called racist far-right organisation. Obviously, to provide a platform for Robinson or The EDL during the height of his involvement would be ill-judged, but given he is no longer affiliated with the EDL this now represents an opportunity to access some unique insight, experiences and hopefully – good conversation. This also gives me chance to quiz Robinson on his time in the EDL, Quilliam and his attitudes then and now. Throw in an ex-Muslim for good measure and this shines with the potential of great content – and that’s what it’s all about. I understand many will have doubts about Robinson, so this is your opportunity too. Do you have any questions for him? Any concerns about his attitudes that you want clarifying? Have you had any first-hand experience of the EDL in your home town etc? If so, what did you witness? Please use the comment section of this post for your questions and I shall put the best ones to him. The #GSPodcast is a one-man operation and entirely listener supported. Please consider supporting the podcast by becoming an official patron. Tommys comments such as “This is a Christian nation” etc can come across slightly xenophobic. 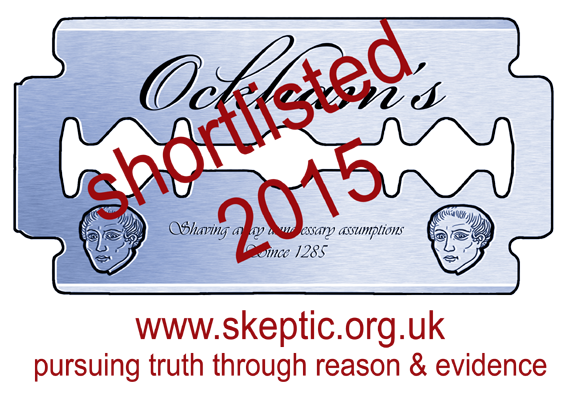 Does this mean that he thinks pluralism and secularism *isn’t* the way, or have I completely misunderstood? Cheers! Islam and it’s followers have successfully aquired the status that their beliefs constitute race, mainly through the aid of certain members of the left. Just look at Ben Affleck call Sam Harris a racist, etc. They know it isn’t technically correct, yet it’s useful to them to them so that isn’t really important. When is this discussion actually happening?